Despite a huge number of active satellites and the ISS, none of them, until now, constituted a space kingdom. In comes Asardia 1, the first space territory. A virtual country going by the name “Asgardia” has self-declared itself as the first nation with territory in space after successfully deploying a cubesat into low-Earth orbit. For Sagan, the spirit of space exploration stems from the almost instinctive need to explore, which is driven by the will to survive. When he said the above quote (in his 1980 book “Cosmos”), three years had already passed since the launch of Voyager 1. Though named Voyager 1, the spacecraft was actually the second to launch (on September 5th, 1977) after Voyager 2 (on the preceding August 20th). It’s been 40 years during which Voyager 1 and 2 have been braving the limitless cosmic ocean. Judging by the sheer scope of the universe, the two spacecraft are still ashore, relatively, as they are expected to pass near the first star in their journey in about 40,000 years. But Voyager 1 and 2 have already made numerous discoveries about outer planets in the solar system. Along the way, they’re carrying humanity’s message to whoever might be out there. The Golden Record is a plaque onboard Voyager 1 and 2 that contains images and sounds (selected by a committee chaired by the same Carl Sagan) intended to present Earth and its inhabitants to “extraterrestrials” who might stumble upon one of the two spacecraft. Now, as we’ve yet to hear back from aliens who would’ve played the Golden Record, a virtual nation has sent a satellite containing its data into space. The cubesat, Asgardia 1, the size of a bread loaf, was carried aboard an Antares rocket of the space company Orbital Science that took off on Sunday, November 12th, 2017. 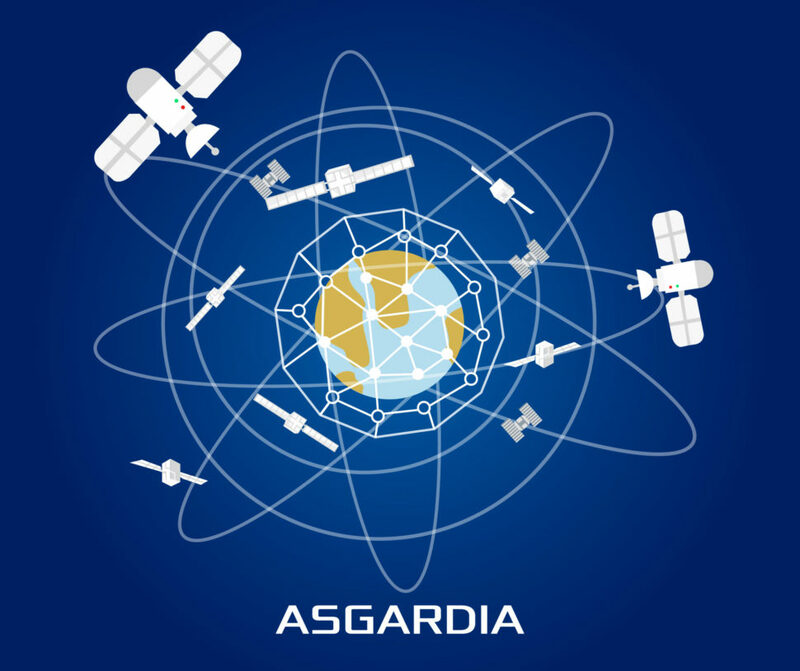 Within the Marvel comic pages, Asgardia was built after the fall of Asgard, home city of Thor and one of the Nine Realms. But the founders of the virtual nation Asgardia fear no copyright infringement case because the name goes back to Norse mythology, and so it entered the public domain a long time ago. The aforementioned launch of Asgardia-1 is considered by Asgardian officials as the establishment of a sovereign space territory. Much ado About… a Nanosat? This so-called “space territory” is the 512 GB hard drive transported by the cubesat, which contains the Asgardian Constitution, flag, and currency, as well as messages and selfies from thousands of Asgardian citizens. Legally speaking, space activities are managed by the UN, which prohibits appropriation of space under any sovereignty claim by any member country, let alone a virtual and unrecognized one like Asgardia. But Asgardia can still carry on with its agenda. The launch of the satellite is like turning the first sod for a project, in this case, a space station, which is more symbolic than anything. Anyone could apply to gain citizenship as long as they promise to respect the nation’s constitution, and Asgardia now counts over 150,000 citizens from around the world. Would you like to become an “Asgardian”?